PRESS RELEASE: Goals galore punctuated week two of the Football Association’s National League as the Sugar Boys hit the Wolues for six and Old Madrid went one better with a seven-goal performance against FC Sea Argo. The weekend’s action had gotten underway in a much more sedate fashion as VG United squandered all three points by conceding a late equalizer to the Panthers in a 1-1 tie. Lance Renolds put the home side up in the 49th minute, and just when it seemed victory was secured, Kevonne Bibby netted in the 91st minute for a share of the points. Back at the A.O. Shirley Ground, Old Madrid thumped FC Sea Argo on the back of the first half with a hat-trick from Xavier John and further goals from Rohan Sweeney, Bernard Grant, Frederick Salmon, as well as an own-goal. Ruben Stoby and Gain Foster at least got on the score sheet for Sea Argo, who kept battling away until the very end. 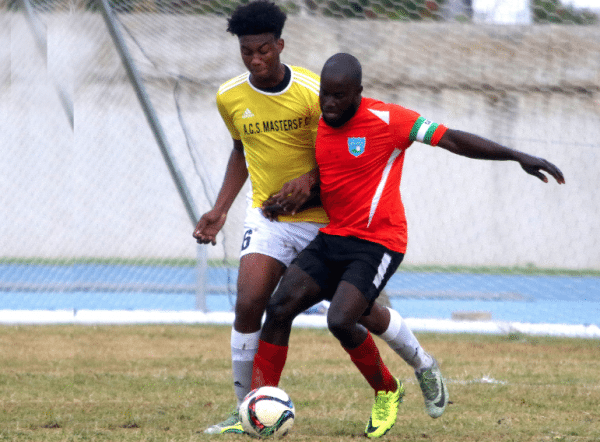 Back on Virgin Gorda, the Sugar Boys maintained their 100 percent start to the season with a 6-0 rout of the surprisingly off-par Wolues FC. Derol Redhead settled matters with a second-half hat-trick after Michael Castello had opened the scoring in the first half. Mervin Dainty also found the net before Romaine Henry added a late sixth.